Get fun underwear for you or your boyfriend. Makes a great gift for Valentines Day or Sweetest Day. 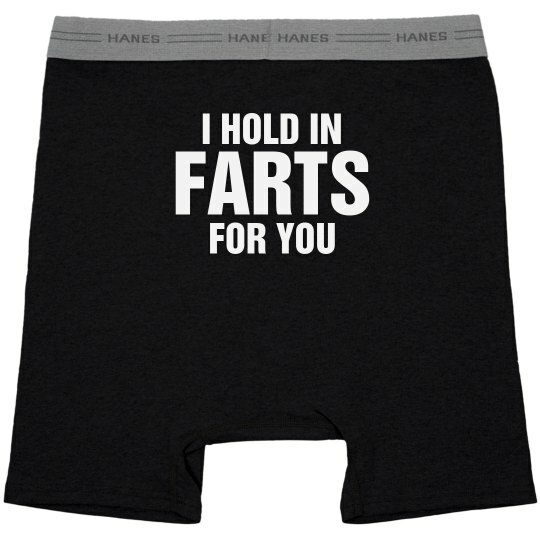 I hold in farts for you! If that's not love, I don't know what is.